Jane Austen lovers, you followed Elizabeth Bennet as she stumbled down the path to love with the stuffy Mr. Darcy, and maybe you even read one of the many “tribute-like” novels written in present day, telling the story of Elizabeth and Mr. Darcy’s life after marriage (The Pemberley Chronicles by Rebecca Ann Collins, Mr. Darcy Takes a Wife by Linda Berdoll….there are hundreds actually). Once you’ve had your fill of Elizabeth and Fitzwilliam, you may have even read a novel or two devoted to one of her other sisters- she had 4, if you recall-of all the sisters, however, one must wonder what would have become of Mary Bennet, the studious and unapproachable young lady who spent more time in her father’s library than looking for love. I, personally, found myself drawn to this novel, because I am a booknerd, myself… Could someone like Mary Bennet find love? When reading Pride and Prejudice, you automatically assume that she will become a spinster (mostly because this seems to be what she wants). The Pursuit of Mary Bennet tells the story of a young lady who must decide what she wants to do with her life, whether it be in a governess position, or finally married off (which seems an unlikely option at first), and fortuitously, a handsome gentleman appears and turns the Bennet household upside down. Sibling rivalry being one of many issues that arise upon his arrival. 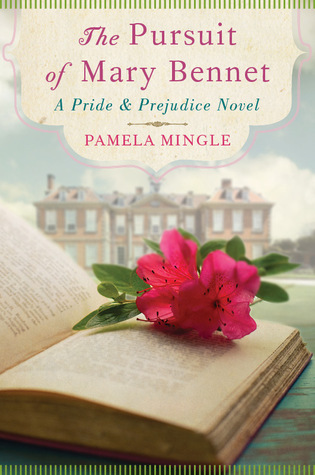 If you do love Jane Austen spinoff novels, this one is worth a read. If you haven’t read Jane Austen you may want to start at the beginning with Pride and Prejudice, however.